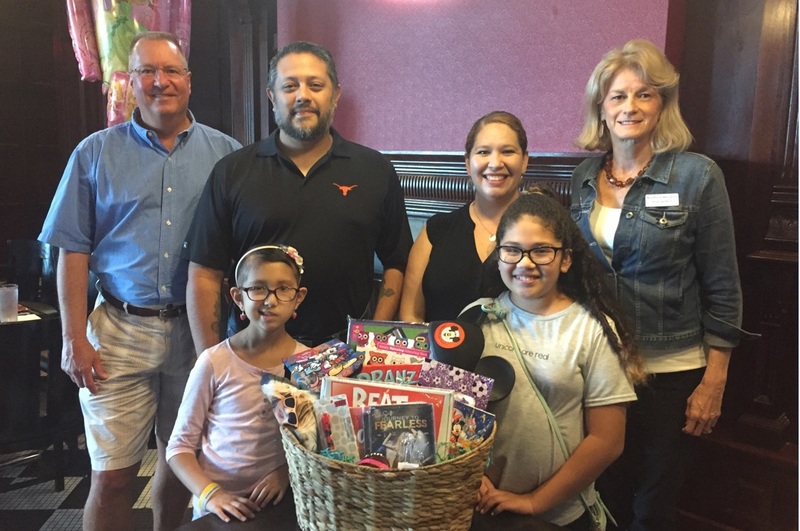 Windermere Utility recently sponsored the wish of 8-year-old Alixandra from Pflugerville, Texas, to go to Disney World. Alixandra has medulloblastoma, a type of brain tumor most commonly seen in children. On Saturday, Nov. 12, Alixandra received a gift basket filled with presents related to her favorite interests and hobbies from Windermere Utility at her send-off party. poses with Alixandra and her family, as well as a representative from Make-A-Wish.